ONE MILLION FREE OREO®CHOCOLATE CANDY BARS! OREO is celebrating National OREO® Day with one million tasty gifts! 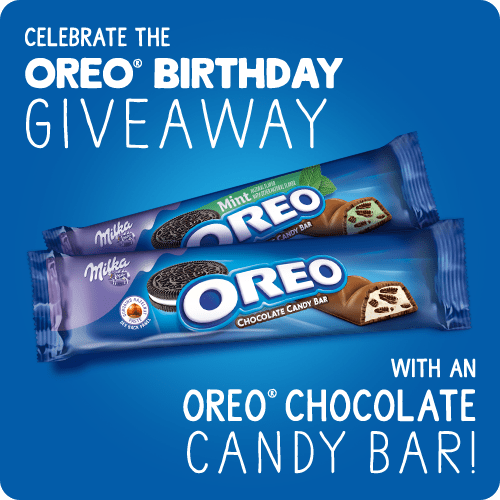 The first lucky million to register will receive a coupon for a free OREO® Chocolate Candy Bar! Enter now! Next post MEET THE HATCHIMALS LIVE!